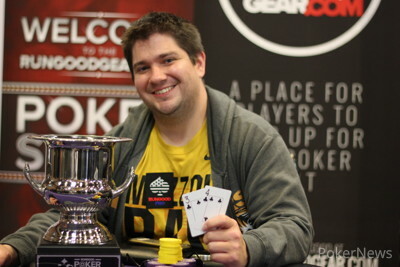 The RunGood team kept the trophy in the family, and it was once again Ryan Tepen holding it down for the squad. Five months after winning the RunGood Cup Championship in New Orleans for $54,683 to end the last RunGood season, Tepen opened the spring "Ignite the Night" series with a victory at RunGood Harrah's North Kansas City for $14,254 in the $340 Main Event. 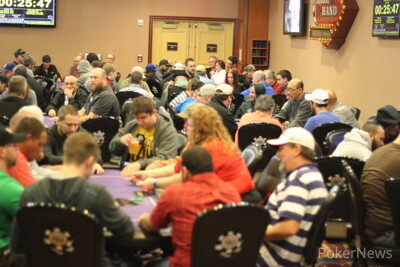 The first-ever one-day Main Event in series history drew 176 runners, creating a prize pool of $52,800. Eighteen places were paid, so plenty fell short of the money. Justin Gardenhire, Troy Repp, Tim Woodson, James Mackey, Blair Hinkle, Grant Hinkle, and Bryan Campanello were among those missing out on the payouts. 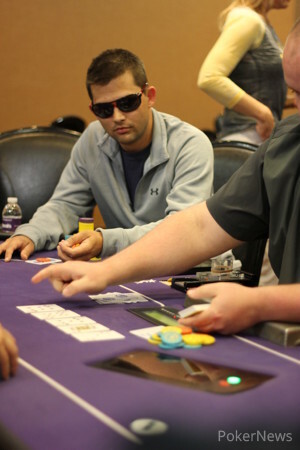 Tepen scored a huge double through fellow RunGood team pro Ross Bybee with 12 players left. It began with Tepen opening for a raise in Level 17 (6,000/12,000/2,000) and seeing Bybee call in the small blind. Both checked the flop and Bybee came out betting with 20,000 and the board reading . Tepen called, and Bybee fired 67,000 on the river. Tepen thought a couple of minutes and shipped it in for 159,000 more. Bybee tanked for about six minutes and then called, and Tepen showed the for a full house. Then, Tepen got a dream flop when he opened with the and the flopped. Julian Black had flatted with , and they got it in after a brick on the turn. 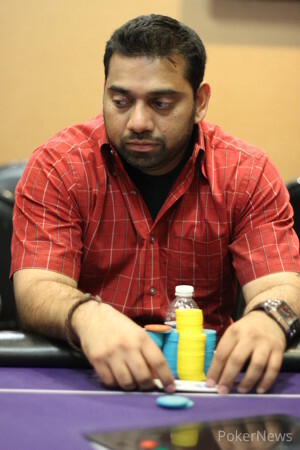 From there, Tepen held to head to the final table with the chip lead. 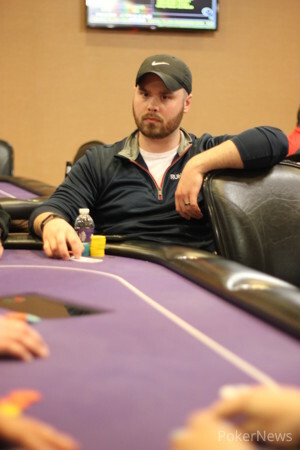 Bybee was among those falling early at the final table when he went out ninth, and with seven players left, Tepen jammed over a Greg Jennings bet on a completed board of . Jennings called with a set of fours, but Tepen had caught him on the river with for a straight. After two more players fell by the wayside, Tepen made a straight with the to bust short stack Luke Prestholt after the latter flopped a jack with the all in preflop. Tepen then woke up with aces and snapped off the button shove of David Caron, who held the and could not pull off a miracle comeback. Tepen took about a 2-1 lead into heads-up play with Ron Covert, and he dispatched his opponent in just 10 minutes, though he got quite lucky in the process. Covert opened on the button at 10,000/20,000/3,000 and Tepen defended. Tepen check-called 75,000 on the flop, and Covert fired 150,000 out of turn on the . Tepen checked and shoved, and Covert quickly called with the for top pair and a heart draw. Tepen also had a pair and a flush but it was an inferior pair of fours and a club draw with the . However, Tepen managed to find the on the river to end the tournament, leaving Covert shell-shocked. For Tepen, the win marked the eighth live poker tournament victory of his career. Ron Covert opened to 55,000 and Ryan Tepen called. Tepen check-called 75,000 on the flop. The turned, and Covert tossed 150,000 in. Tepen had yet to act though, and he checked and jammed. Covert snap-called it off for about 300,000 more. Covert was in great shape with a better pair and a flush draw, but Tepen binked the river to make a winning two pair, much to Covert's disbelief. The men shook hands, and Tepen has won another RunGood event after taking down the RunGood Cup Championship last year. On a board of , Ron Covert bet 30,000 and Ryan Tepen called. It was 52,000 and a call on the turn, and Covert fired a third barrel of 100,000 on the river. Tepen made it 250,000, and Covert quickly mucked. David Caron got it in from the button for about 230,000, and Ryan Tepen called when he woke up with in the big blind. Caron had and called for hearts, but he did not pull the miracle and busted in third. Luke Prestholt shoved from the button for 128,000, and Ryan Tepen shoved over in the small blind. Prestholt took the lead as hit the felt, but Tepen had a straight draw. The turn was a brick but the river gave Tepen a winning straight. "Good game, guys," Prestholt said. "It was fun playing with you." Shem Yusuf got all in with and Luke Presholt called with in a blinds battle. Prestholt made a flush for his last 73,000 as the board came . Yusuf was left with 38,000 and called it off next hand after Ron Covert opened. "I looked at one," Yusuf said, showing and revealing with it. 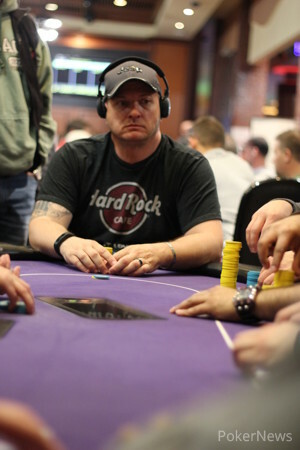 Covert had lives with and he pumped his fast after seeing a flush draw appear on the flop. The turn filled the flush and the river missed Yusuf. Bridgette Adkins shipped it under the gun for about 200,000, and Ryan Tepen called upon seeing his holding in the big blind. The race went to Tepen as he made two pair on the board, and Adkins took her leave in sixth. Players are on a break for 15 minutes.